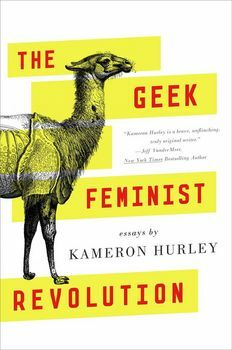 The Geek Feminist Revolution is a collection of essays by double Hugo Award-winning essayist and fantasy novelist Kameron Hurley. The book collects dozens of Hurley's essays on feminism, geek culture, and her experiences and insights as a genre writer, including "We Have Always Fought," which won the 2013 Hugo for Best Related Work. The Geek Feminist Revolution will also feature several entirely new essays written specifically for this volume. Unapologetically outspoken, Hurley has contributed essays to The Atlantic, Locus, Tor.com, and others on the rise of women in genre, her passion for SF/F, and the diversification of publishing. A powerful collection of essays on feminism, geek culture, and a writer's journey, from one of the most important voices in the genre.